Touch Bionics is a leading developer of advanced upper-limb prosthetics (ULP). 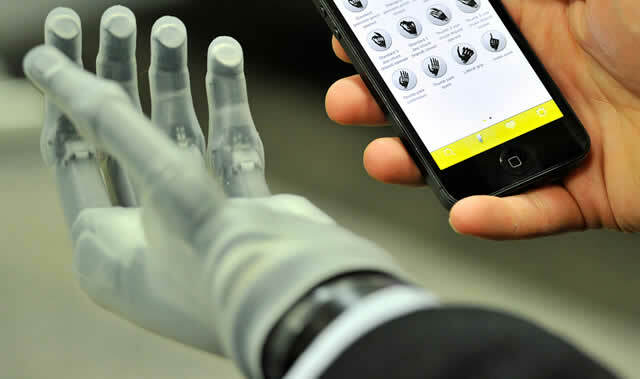 One of the two products now commercially available from the company, the i-LIMB Hand, is a first-to-market prosthetic device with five individually powered digits. This artificial limb looks and acts like a real human hand and represents a generational advance in bionics and patient care. Once fitted with a custom “living skin” cosmetic cover, the i-LIMB is nearly indistinguishable from the contra lateral hand. 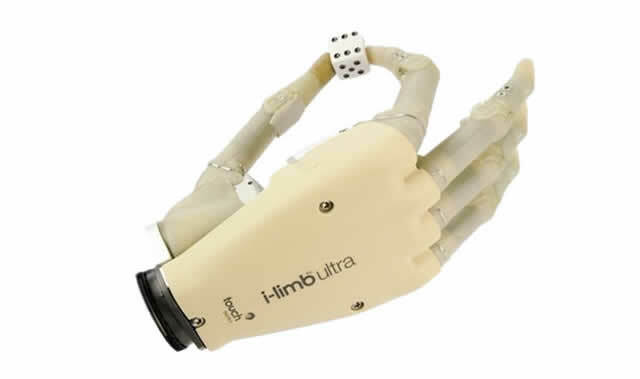 The i-LIMB Hand is controlled by a unique, highly intuitive control system that uses a traditional two-input myoelectric (muscle signal) to open and close the hand’s life-like fingers. Myoelectric controls utilize the electrical signal generated by the muscles in the remaining portion of the patient’s limb. This signal is picked up by electrodes that sit on the surface of the skin. Existing users of basic myoelectric prosthetic hands are able to quickly adapt to the system and can master the device’s new functionality within minutes. For new patients, the i-LIMB Hand offers a prosthetic solution that has never before been available.